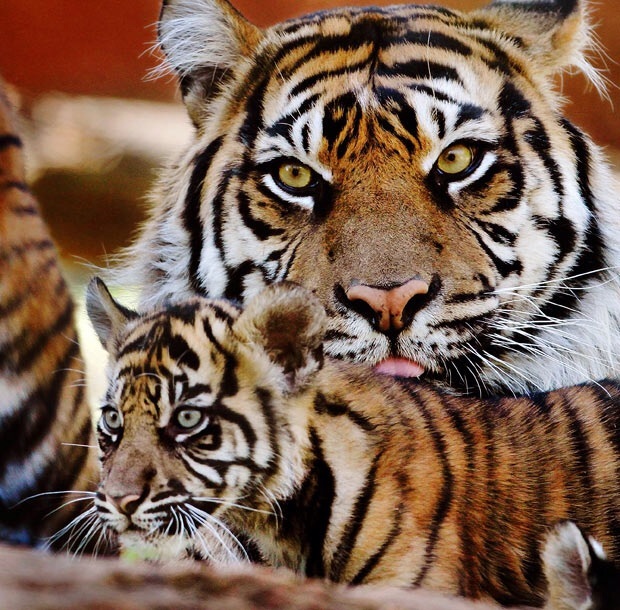 The primary meaning for tiger spirit animal is personal strength. This spirit animal may point out a recent event or situation that prompted you to show courage and determination. If the atmosphere of your encounter with your power animal is mostly positive, the tiger could remind you of your personal power and ability to overcome obstacles. Seeing this spirit animal also means that you’re overcoming fears and learning how to deal with strong emotions that once felt threatening, but are becoming more and more manageable. When the tiger appears in dreams, it can be a symbol of strength, more specifically willpower. A dream featuring your tiger animal spirit guide could tell you about your ability to overcome obstacles in life or the courage you have to demonstrate in order to defy challenges that are on your way. The expression “fight like a tiger” illustrates this point. If the dream shows the tiger totem in a positive light or a guiding role, it could be interpreted as an encouragement to use or develop the qualities or attributes you usually associate with tigers. Imagine the feelings and ideas that the presence of the tiger triggered in your dream, and in waking life. Learn from what it would be like to adopt a “tiger-like” attitude in order to tackle the challenges you’re currently facing. If you have been receiving the tiger as a symbol during meditation or dreaming, this is a very powerful message about tapping in to your inner strength and instincts to overcome life challenges. This spirit animal reminds you to act quickly and passionately and to trust your intuition. The tiger has long been regarded as a symbol of courage, fearlessness, and protection in many cultures and you can access this spirit animal as a reminder to act in spite of fear, take more chances, and to trust your first reaction. The fierce tiger has long been a symbol for remembering that tapping into inner power and trust, we can overcome anything. In nature, tigers know exactly what they want and they are very direct about getting it; they don’t hesitate, but rather, they move swiftly and with purpose. Keep the energy of the tiger nearby to better tune into inner purpose and offer assistance to others around you very quickly. Overall, the tiger reminds us to be led by our inner spark to find balance and peace. Poetic form | Paradelle | The paradelle is a 4-stanza poem. Each stanza consists of 6 lines. For the first 3 stanzas, the 1st and 2nd lines should be the same; the 3rd and 4th lines should also be the same; and the 5th and 6th lines should be composed of all the words from the 1st and 3rd lines and only the words from the 1st and 3rd lines.The final stanza should be composed of all the words in the 5th and 6th lines of the first three stanzas and only the words from the 5th and 6th lines of the first three stanzas.